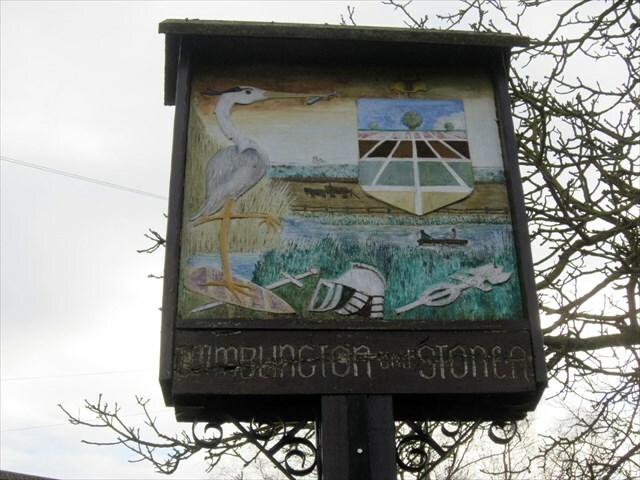 Unfortunately, we have not been able to find any details of the intricate pictures on each side of the sign. 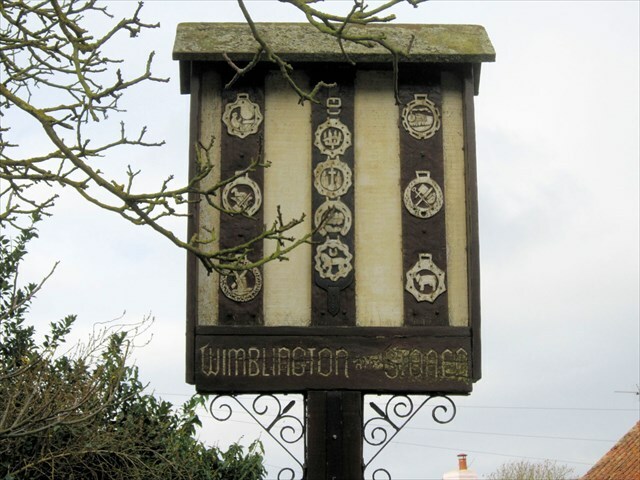 Wimblington, originally a hamlet in the larger parish of Doddington became an independent parish with the opening of the church of St Peter’s in 1874. The village is split into two by the A141 which follows the line of the old St..Ives extension of the Great Eastern Railway which ran though the nearby towns of Chatteris and March. Wimblington railway station closed in 1967.